London is a city in perpetual transformation. Its skyline keeps changing as more and more skyscrapers are built, offering the best bird-eye views of the city. 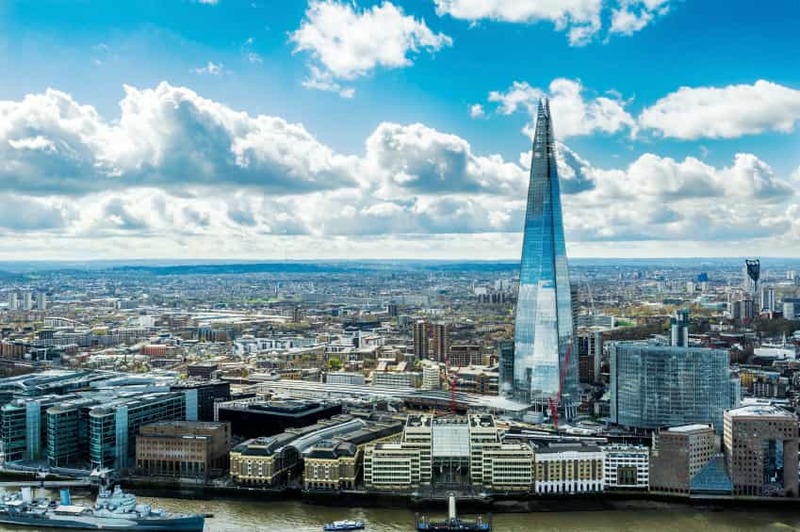 They’re not the only locations in the capital capable of offering these stunning views, however, as London has a wide range of places you can choose from if you want to see it in a different way, including attractions and monuments. This skyscraper is only one amongst many so iconic they get their own nicknames, and for good reason: when it was built, the Shard was said to resemble a broken piece of glass, and the name stuck. At level 69 of this building, which is also the first viewpoint, you’ll be able to see up to 40 miles if the day is clear – and you also have the opportunity to use digital touchscreen telescopes to see even further. Once you reach level 72, you’ll be in an open-air platform where you can look through large shards of glass and have an even larger view of the city. 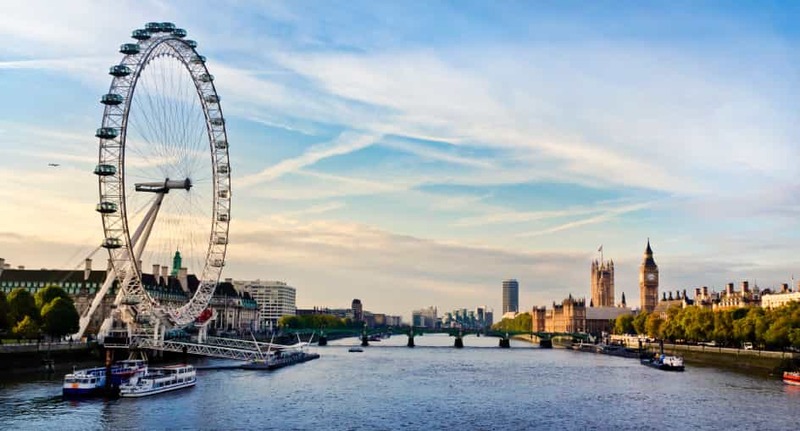 Also referred to as the Millennium Wheel (an allusion to when it was built), the London Eye is located on the South Bank of the River Thames, and will allow you to sightsee attractions such as the Big Ben, the Houses of Parliament and Buckingham Palace from the comfort of a glass pod. You can even book special packages from time to time, which allow you to survey the city while having your afternoon tea or champagne. This 135m Ferris wheel lets you see 25 miles in all directions if you’re lucky enough to ride it on a sunny day. In this cathedral you can find the world’s second largest church dome, so you can rest assured the view is breathtaking. 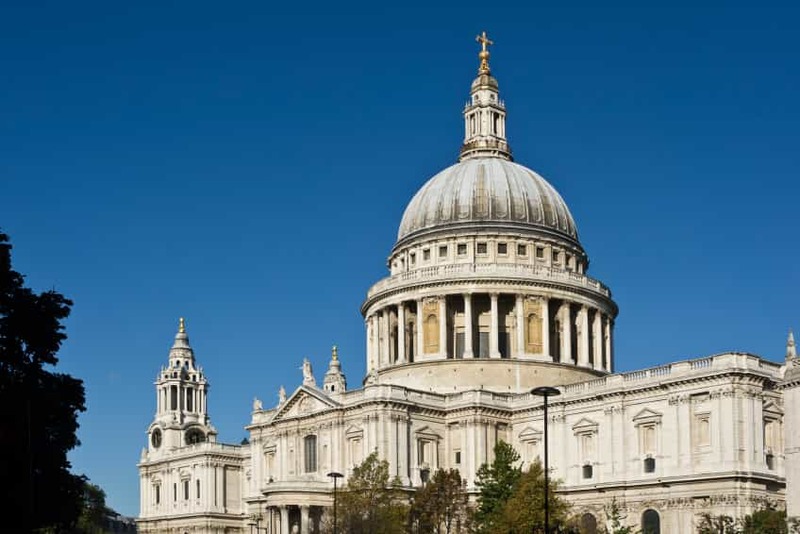 Located at the top of Legate Hill, St Paul’s Cathedral allows you to rise higher than the buildings in the western part of London and lets you see the modern glass and steel skyscrapers to the east – like the Walkie Talkie and the Shard. To access the dome you have to buy a ticket, although you can visit the cathedral itself for free. In Greenwich Park you can find not only one of the best views in London, but also the Royal Observatory, which you can visit only with a ticket. The park is free to visit and linger for as long as you wish, which means you can walk around, relax on the grass or even climb to the highest spot and see the O2 dome, Canary Wharf and skyscrapers like the Gherkin. Once again, if you manage to visit on a sunny day, you can actually see the waters of the Thames shining under the sunlight. London has a vast number of attractions, buildings and other locations that will let you observe the city like you never have before. Whether you prefer to be on the ground or high up in the sky, you can find the right place for you and enjoy the sights. If you want to learn more about the best places in London to see the city, feel free to contact us on 01200 315 025. To keep up to date with our latest news and offers, follow us on Facebook, Twitter and Google+.